Bury were allowed to walk the ball into the net to equalise in the closing stages of their draw at Doncaster. Bury put the ball out after Nathan Cameron was injured, only for Harry Forrester to score in attempting to play the ball back to the visitors. 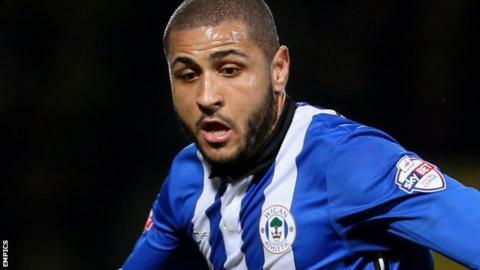 After the referee consulted with both benches, Doncaster allowed Leon Clarke to dribble from the centre circle and walk the ball over the line. Before that, striker Clarke had twice hit the woodwork on his Bury debut. "We looked threatening all day, it was a performance that I wanted to see where the team was at. "We've done a lot of work in our offensive play and in the summer we rebuilt the forward line. "We've got to be a multi-scoring team, we've got to get goals from all angles and aspects and try to drive and attack teams with a real force." Match ends, Doncaster Rovers 1, Bury 1. Second Half ends, Doncaster Rovers 1, Bury 1. Goal! Doncaster Rovers 1, Bury 1. Leon Clarke (Bury) right footed shot from very close range to the centre of the goal. Goal! Doncaster Rovers 1, Bury 0. Harry Forrester (Doncaster Rovers) right footed shot from more than 40 yards on the right wing to the centre of the goal. Corner, Doncaster Rovers. Conceded by Nathan Cameron. Attempt saved. Leon Clarke (Bury) right footed shot from the right side of the six yard box is saved in the bottom left corner. Substitution, Doncaster Rovers. Harry Middleton replaces Richard Chaplow. Substitution, Doncaster Rovers. Marko Marosi replaces Andy Williams. Corner, Doncaster Rovers. Conceded by Peter Clarke. Harry Forrester (Doncaster Rovers) wins a free kick in the attacking half. Jacob Mellis (Bury) hits the left post with a right footed shot from the centre of the box. Attempt saved. Leon Clarke (Bury) right footed shot from the centre of the box is saved in the centre of the goal. Leon Clarke (Bury) is shown the yellow card. Attempt missed. Nathan Cameron (Bury) header from the centre of the box is too high following a corner. Corner, Bury. Conceded by Richard Chaplow. Substitution, Doncaster Rovers. Nathan Tyson replaces Curtis Main. Attempt blocked. Leon Clarke (Bury) right footed shot from the centre of the box is blocked. Corner, Bury. Conceded by Rob Jones. Leon Clarke (Bury) wins a free kick in the defensive half. Attempt missed. Leon Clarke (Bury) header from very close range is close, but misses to the right. Attempt missed. Harry Forrester (Doncaster Rovers) right footed shot from outside the box is just a bit too high from a direct free kick. Substitution, Bury. Andrew Tutte replaces Danny Pugh. Attempt saved. Harry Forrester (Doncaster Rovers) right footed shot from outside the box is saved in the centre of the goal. Attempt saved. Tom Pope (Bury) right footed shot from the centre of the box is saved in the centre of the goal.